Contour lines for each level are a list/tuple of polygons. lines2 = [[[3, 0], [3, 2]], [[3, 3], [3, 4]]]  # Note two lines. Filled contours between two levels are also a list/tuple of polygons. Points can be ordered clockwise or anticlockwise. filled12 = [[[2, 0], [3, 0], [3, 2], [1, 3], [1, 2]],   # Note two polygons. 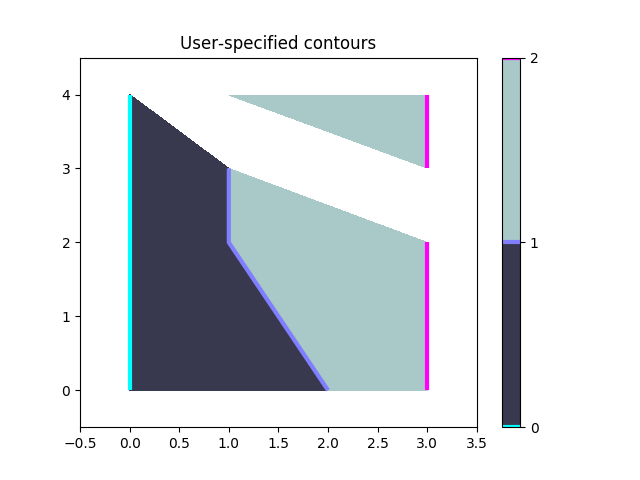 Multiple filled contour lines can be specified in a single list of polygon vertices along with a list of vertex kinds (code types) as described in the Path class. 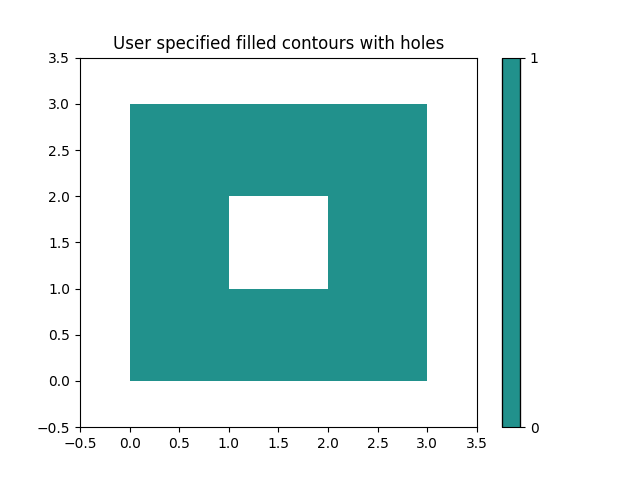 This is particularly useful for polygons with holes. Here a code type of 1 is a MOVETO, and 2 is a LINETO.